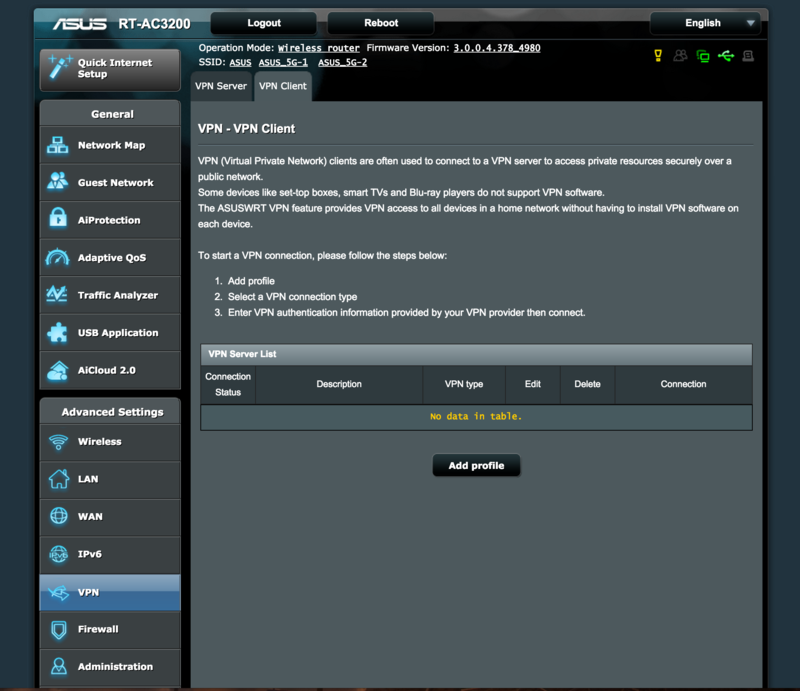 How do you setup the ASUS wireless router vpn ? - Kunnskapsbase - VPN.ht. How do you setup the ASUS wireless router vpn ? Some ASUS routers support connecting to a VPN out-of-the box. So why not connect it so that not every device needs a separate setup? Please note that this guide requires some basic knowledge about managing your router. If your router does not have this page and only a 'VPN Server' page then connecting is not possible, unfortunately. Then select this file and enter your VPN credentials. Now press the activate button to initiate the connection. You should be notified once it is connected. How to set up VPN on your Chromebook with L2TP ?